An elitist, secretive and abusive court convened from time to time by British kings from at least King Henry VII (1457-1509) to 1640. The Star Chamber had humble and legitimate beginnings. Holdsworth, the great British legal historian, described the Star Chamber as having a role in the development of commercial and maritime law during the 16th Century. "Let all men take heed how they complain in words against any magistrate for they are gods." Thus, many cases heard by the Star Chamber had an aura of normalcy. But the Star Chamber was born in an era where the independence of the judiciary and of Parliament was just evolving, circa 1390. 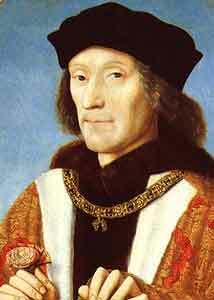 Although the king had delegated much of his judicial duties to common law courts, he did retain the right to try cases as he saw fit. This authority would spawn atrocities through the Star Chamber. The British monarch maintained an advisory council, called the King's Council (and which used a French name, Conseil du roi), which convened from time to time as a standing committee, especially on matters of national or royal security. Eventually, this Conseil du roi delegated judicial functions to another subgroup: the Star Chamber. Contrary to a common law court, the King's Council kept no records and from 1390 to 1540, little written records of the Conseil du roi or the Star Chamber remain. This has made historical research difficult. "In the first place, torture was freely used to extort either a confession or the disclosure of further information. "In the second place, the court considered that it was free to disregard not only the ordinary rules of procedure but also the rules of law." Examples of the Star Chambers resort to barbaric justice abound. In 1639, Charles I used the Star Chamber to try a lawyer, William Prynne (1600-1669), for seditious libel. In the result, Pynne spent a year in the Tower of London, lost both ears, was pilloried and upon conviction, branded S.L. on both cheeks with a hot iron (for seditious libeler). "Exorbitant offences are not subject to an ordinary course of law." During the reign of Henry VII (1457-1509), this tool of justice no longer served Lady Justice. Instead, it had a new, dark, sinister master: politics.
" ... the distinguishing character of (the reign of king Henry the Seventh) was that of amassing treasure in the king's coffers by every means that could be devised; and almost every alteration in the laws, however salutary or otherwise in their future consequences, had this and this only for their great and immediate object. To this end, the court of starchamber was new-modeled and armed with powers the most dangerous and unconstitutional over the persons and properties of the subject." " ... the Star Chamber ... that curious institution, which flourished in the late 16th and early 17th centuries, was of mixed executive and judicial character, and characteristically departed from common-law traditions. For those reasons, and because it specialized in trying political offenses, the Star Chamber has for centuries symbolized disregard of basic individual rights." After centuries of terrorizing the common folk of England, the Star Chamber was finally abolished in 1640. The term star chamber is now used to deride a court or judicial proceeding, akin to the phrase kangaroo court. Holdsworth, W.S., A History of English Law, Volume 5 (London: Methuen & Co. Ltd., 1924), pages 155-214. Also Note 1, Volume IV, page 84-85.